-When you kill a player above level 1000, they will now drop a trophy when they die, saying who killed the player and who died. (was a small idea from pixa, and it has already been ingame since 5 days ago). 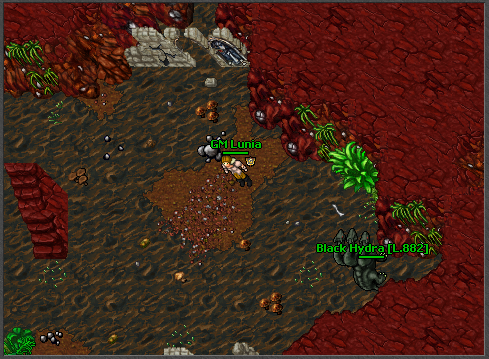 -NPC Madcap recieved some more missions. -Added a new command, !exithouse. It will teleport you to temple if you're inside a player's house. 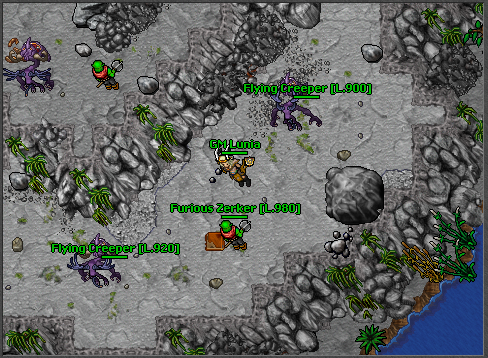 -A new quest has been added inside the 900+ area. -Fixed a bug with disintegrate rune. -Mas row/mas pura/mas frigo/mas flam now properly deals damage to players as it should. Before it would deal extra damage if there was 3 or more players inside the same stack as the player that was getting attacked. -Entering or looking at lvl 900+ quests now properly tells you if you've completed the quest or not. -Added a system which lets us track what charms every player has, currently players can't see what charms other players have, but later today you'll be able to see what charms players are using by looking at their website character profiles. We've also begun working on a island that will contains quests, spawns and more for players above level 1000 which should be coming in the next weeks!